Dear Members of IIBC & To whom it may join. 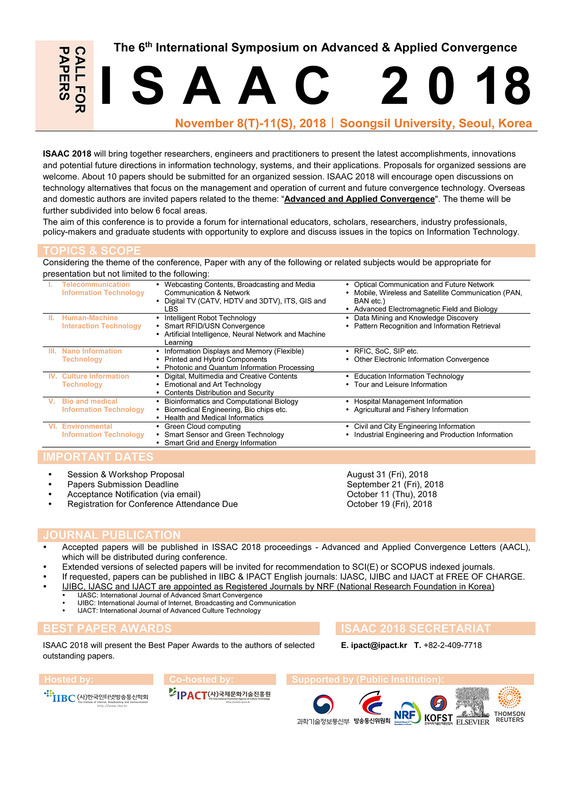 November 08-11, 2018, Soongsil University, Seoul, Korea. please refer to the attached files.